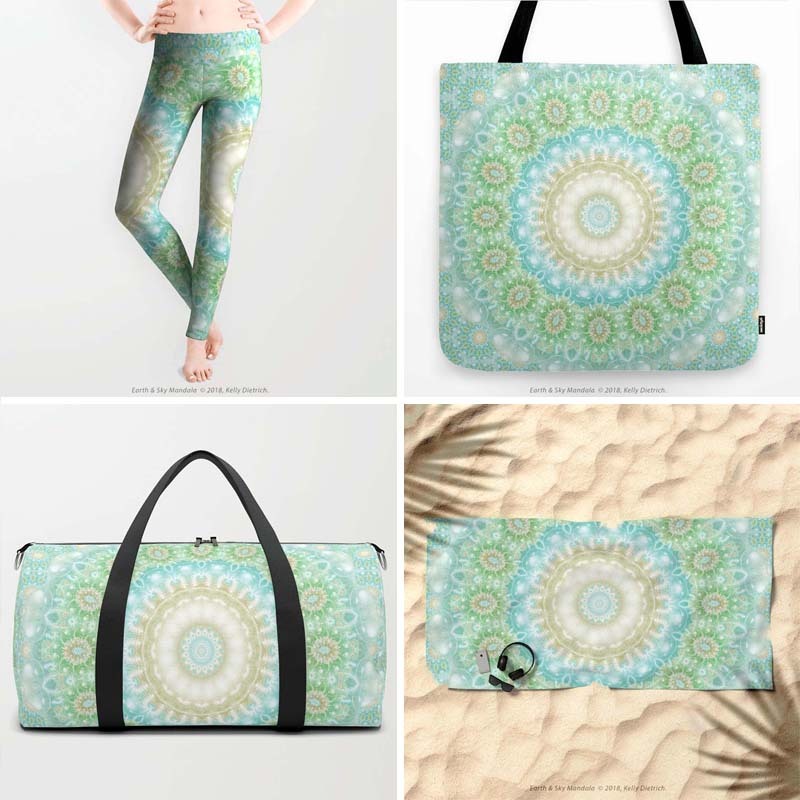 In the spotlight this week: Earth & Sky Mandala - a light colored, pastel mandala in shades of green, blue, ivory, and peach. This fractal mandala can lighten up any room or space and is great for children's rooms, sun rooms, meditation spaces, and more. In the photo above, my new Earth & Sky Mandala is featured on Society6's new wallpaper in a bedroom setting. For a quick look at some of my other available products, see the images below. Or, click on the following links to visit my Society6, RedBubble, or Curioos shops to see the entire product lines on these sites.